AVOID HAZARDOUS NOISE LEVELS by wearing these noise canceling earplugs at loud events such as concerts and sports games. You can also tone down the noise levels in everyday life to enjoy your daily activities to the fullest. 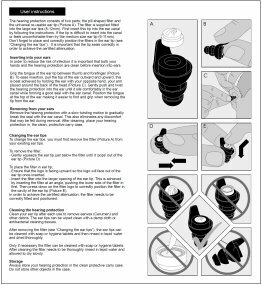 REDUCE THE NOISE BUT STAY IN THE MOMENT With the advanced filtering technology of these cutting-edge earplugs, you can reduce the sound level around you without the muffled disconnected sound from standard foam plugs. LOW PROFILE DESIGN These triple-layered protection earplugs block out noise in a discreet and comfortable way. Simply tug on them to remove them with the pull tab. NON-TOXIC MATERIALS Made from soft, medical grade TPE, which has a lower incidence of causing an allergic reaction than silicone, and also provides a more comfortable feel that won't cause pressure, pain or itching during long periods of wear. CONVENIENT CARRYING CASE This hearing protection comes in a convenient key chain tube that lets you carry them wherever you go. Being overloaded with auditory stimulus can make focusing at work or at school or even enjoying your favorite day to day activities difficult. Too much of a good thing can definitely be a bad thing, and that rings true for loud concert events, the overly excited cheers of the crowd at a sports game in an enclosed arena, or simply while walking through a street festival and taking in the sounds of the chattering passersby. While you want to enjoy these sounds, it can be difficult when they are overwhelming and over stimulating. With the Earmonix Music Plus High Fidelity Ear Plugs, you can help eliminate some of that noise pollution so that you can get back to doing the things you love safely and without becoming overwhelmed. 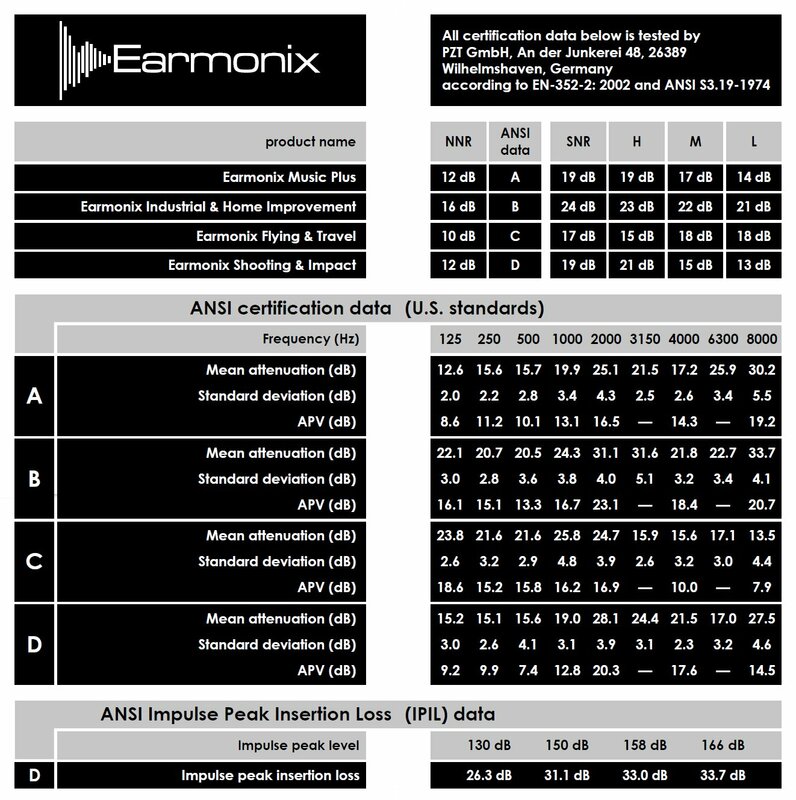 The Earmonix Music Plus High Fidelity Ear Plugs are a pair of noise canceling ear plugs that work to help dim the volume of the world around you. Whether you are trying to get some work done but cannot due to the sounds around you, enjoying a music festival all day long or attending a sports event, you can cancel out some of those sounds and reduce them down to a tolerable level, keeping you aware of your surroundings while also helping yourself to better focus. You can hear what you want to hear without a muffled sound with these hearing protection earplugs while keeping the sounds down to a safe level. 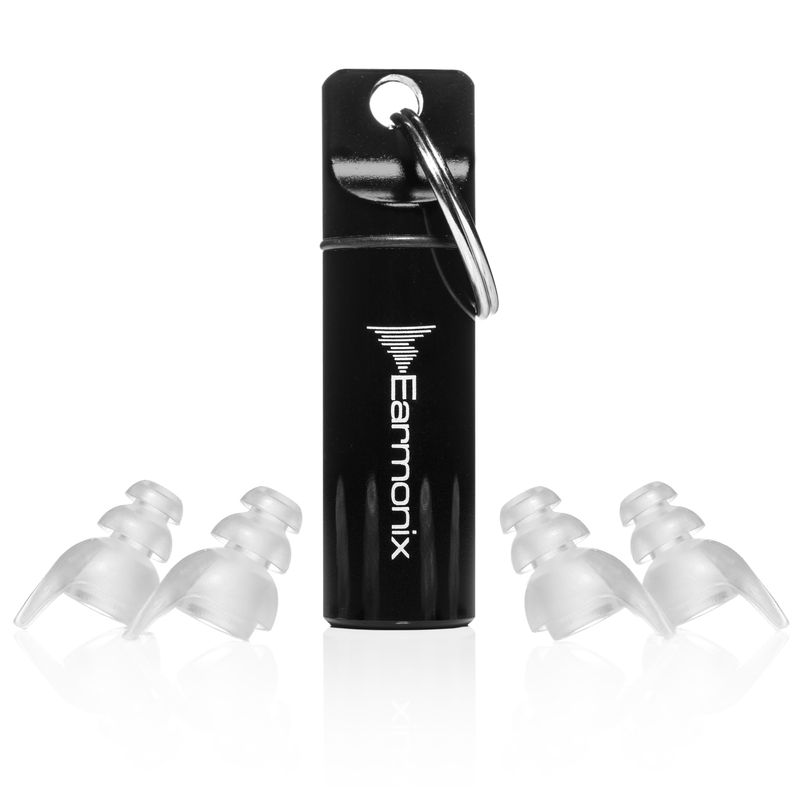 The Earmonix Music Plus High Fidelity Ear Plugs are crafted out of a medical grade TPE (thermoplastic elastomer) that allows the wearer to experience hearing protection through noise cancellation for as long as they need to. Easy to remove, there is a pull tab on the end of them to pop them out of your ears when you no longer need them. 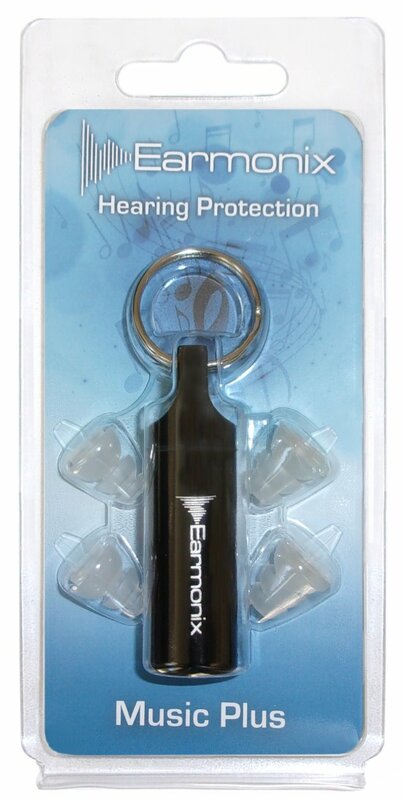 These high fidelity ear plugs come with a handy and protective carrying case that can attach to your keys so that you will always have them on you when the need arises. 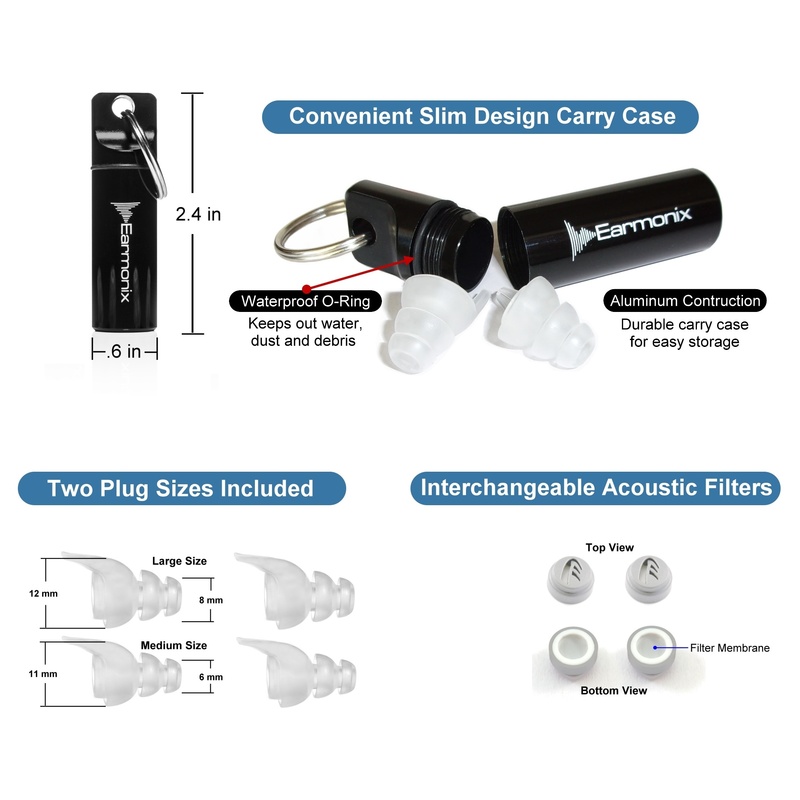 Order the Earmonix Music Plus High Fidelity Ear Plugs now by clicking add to cart. Extremely Comfortable and work great! I work in a noisy office and always find it difficult to concentrate. Wearing these earplugs helps tremendously and I'm still able to hear just at a lower volume, thanks for a great product. I always have an issue with ringing in my ears after a concert or even sometimes after live music in a nightclub. After reading about these newer high fidelity type plugs I thought I'd give them a try. Boy am I glad I did, they worked great with no ringing afterwards.